PBR shares a cultural history and value system with the Native American community in living and celebrating the western lifestyle, cherishing hard work, pride in our country, stewardship of the land and her animals, kindness and respect for everyone, and other important shared principles. On the dirt, we are committed to developing more great Native American athletes by creating paths for those who have the talent but insufficient opportunity. In 2019, we’ll reserve spots for Native American competitors who have distinguished themselves at INFR events, and use our channels to tell their stories. 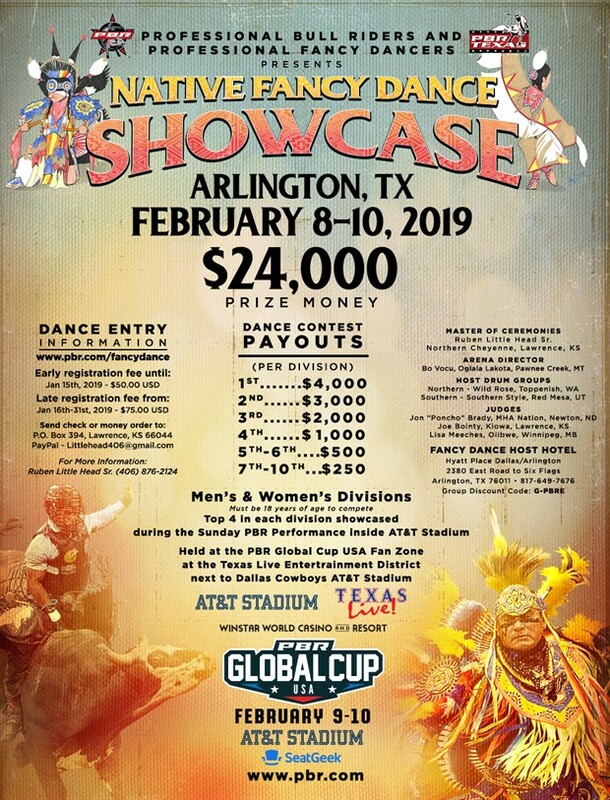 Help us celebrate at PBR Global Cup when an all-Native American team visits AT&T Stadium on February 9-10, 2019 – the first time such a team has been invited to compete on the biggest global stage of a modern major professional sport. As proud Americans, the Native American team will compete both against and alongside a non-native team to defend U.S. soil against the best bull riders from the four other competing nations! Please feel free to reach out to Andrea Morrow at amorrow@pbr.com or 615-963-3327, with initiative questions and inquiries.